kettle-soured, Americanized version of a traditional German gose. Tart and fruity, this brew is crisp, sour, and just a touch of funkiness from their house Lacto blend. Next up is The Tangerine Otter, a hazy citrusy sour thanks to hundreds of pounds of tangerines, tangerine peel, and Citra hops. Light notes of strawberry, apricot and honey provide complexity to this fruity tangerine bomb. Perfect to beat the summer heat! Vasen also introduced The Cranbiscus Otter with this lineup. Cranberry, dried hibiscus petals, and coriander seed give this moderately sour wheat ale a striking ruby-red hue and a deep, complex flavor profile with berry, citrus and floral characteristics. Sour and fruity flavors lead into a bit of funkiness and a crisp finish with hints of fresh buttermilk biscuits and honey. Yum! Finally, we have The Añejo Otter, a kettle-soured American gose aged for months in tequila barrels giving way to an agave character reminiscent of port wine, strawberries, and peaches. Hints of lime and coriander combine with mild funkiness and a touch of oak give this tart, golden ale a surprisingly complex character. Now go try them all! Hardywood’s Hoax brew returns this Saturday. A milk stout aged in freshly-emptied Brandy barrels that premiered last year, Hoax clocks in at a whopping 13.5%, with notes of grape jam, ripe plums, and dried dates. Get ready for some mischief! Available at downtown location and West Creek. Three Notch’d RVA Collab House returns this Thursday with its weekly collaboration. This go around, it’s a Hefeweizen made by RVA Head Brewer Willey Broaddus. Pint specials from 4 to 7 pm. Prost! Tomorrow also marks Third Thursday at The Veil Brewing Co. which means fresh brews and a new local charity who will benefit from the night’s proceeds. This time, it’s I AM RVA, an organization that seeks to encourage more people in the RVA community to ride their bikes while being safe. Their known for their “Chrome Helmet” used to build solidarity and unity. All proceeds from the sales of the helmets goes directly to support other nonprofits. The Veil will donate 15% of sales from 5p-8p so go drink beer for a good cause! Triple Crossing will have its Can Jam, Summer Edition this Friday, bringing Threes Brewing’s brilliant festival from Brooklyn to Richmond again! Cans from some of the best and brightest breweries across the country will be available for purchase. Here are some of the guest breweries: Alvarado Street Brewery & Grill, Aslin Beer Company, Calusa Brewing, Charles Towne Fermentory and more. Fulton location, 12pm-10 pm. Ardent Craft Ale will release its Robust Porter this Thursday. This 6% brew is a medium-bodied American ale with notes of chocolate and coffee. Head over to Legend Brewing this Friday for a brewery and special limited releases, which they are doing all throughout August. The brewery has also just released its Oktoberfest. The Space Invaders DIPA returns to Final Gravity Brewing Co. this Friday. This brew is firing with 100% Mosaic hops, blasting your taste buds with flavors of mango, lemon, citrus, earthy pine, tropical fruit, herbal and stone fruit notes. 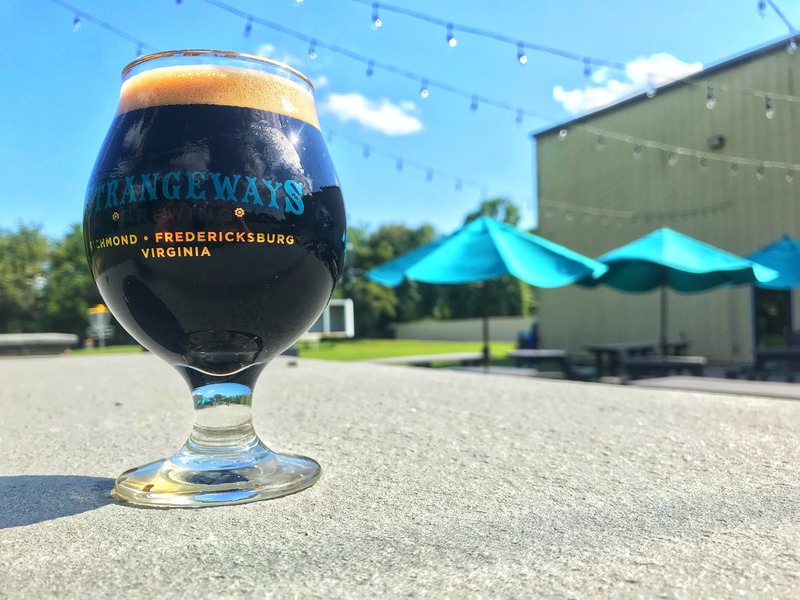 Strangeways Brewing has two new releases for you to check out this weekend. 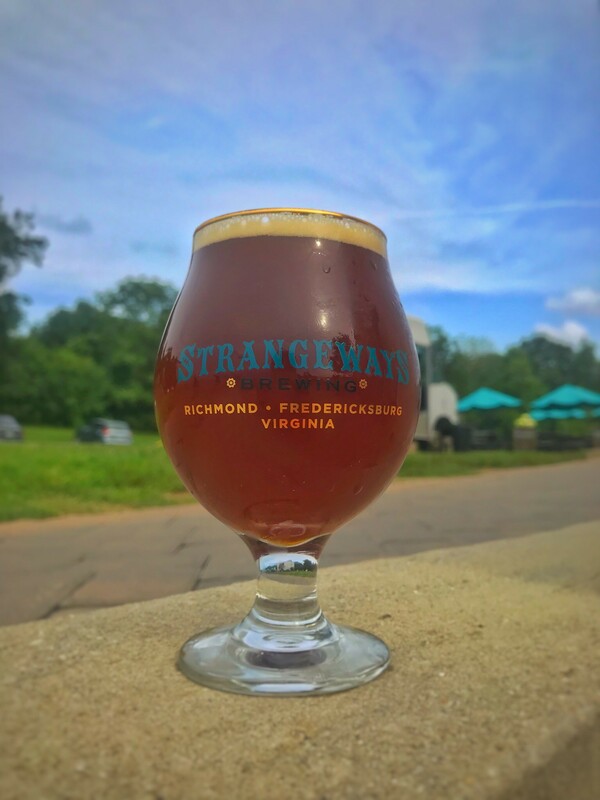 This Saturday, the brewery’s got Rappahannock ESB, an Extra Special Bitter that has a light fruit character with caramel/biscuity malt notes in the body. Strangeways will also be pouring Come On, You Want to Lei Me Volcanic Gose, a sour beer with your not so average ingredient, Black Hawaiian sea salt. This beer is black in color from both the salt and a plethora of chocolate wheat used to give it a subtle roastiness. Notes of chocolate oranges, tart lemons, and candied fruit. Definitely, a beer to try out. Courthouse Creek Cider has new release “Prelude” at both locations. This is a small batch release harvested in 2017, the cidery only produced 44 cases, so get some before its gone! Prelude is a blend of apples sourced from Diane Flynt’s orchard at Foggy Ridge. Aged for 7 months in port wine barrels, it is their interpretation of an American heritage cider. Available in Scott’s Addition and out at their Maidens location. This weekend at Fine Creek Brewing the Macho Mug Super Session IPA will be back on draught. This light hoppy beer is super crushable and refreshing, with rich grapefruit and orange aromatics. The Blueberry Grisette is still on, but not for long. Fine Creek is doing another Benefit Night for FeedMore this Thursday and One Fell Swoop will be playing on Saturday. 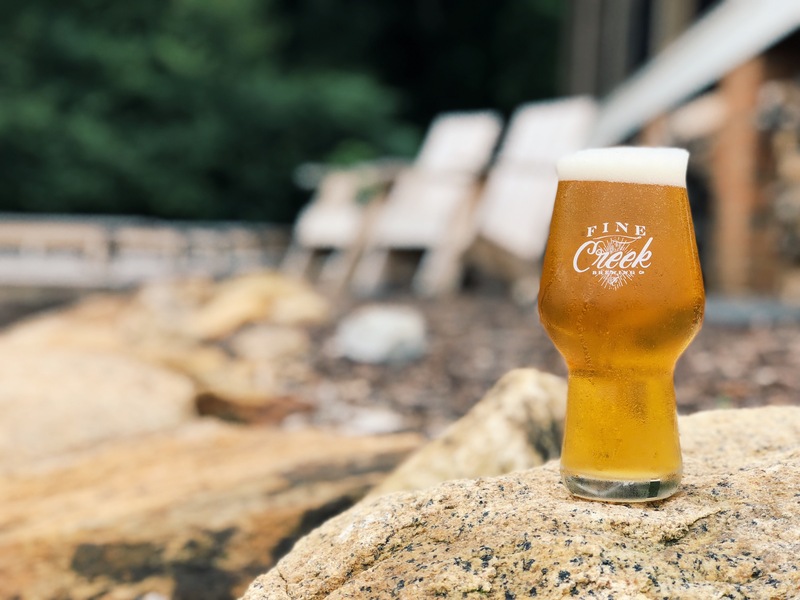 Fine Creek will also be pouring their beers in Charlottesville at the Virginia Craft Brewers Festival on Saturday and at Potters Craft Cider, for a tap takeover with Reason Beer on Friday and Saturday.